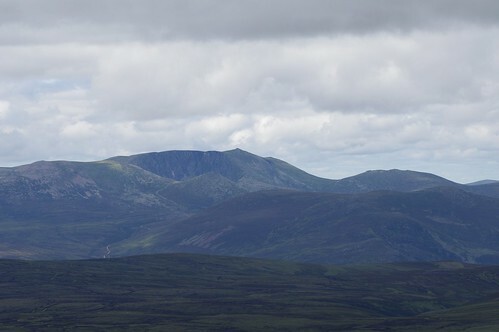 Mount Keen from the south, Invermark. There are two ways to ascend Mount Keen. 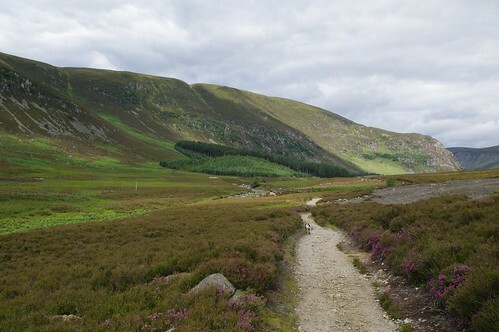 The north route from Glen Tanar is a long slog or there is the shorter route from Invermark in the south. 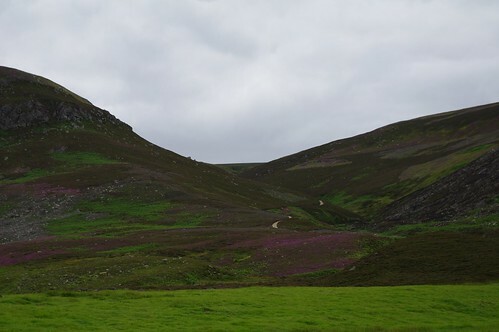 As I live nearby, I chose the south approach which is a fine walk. 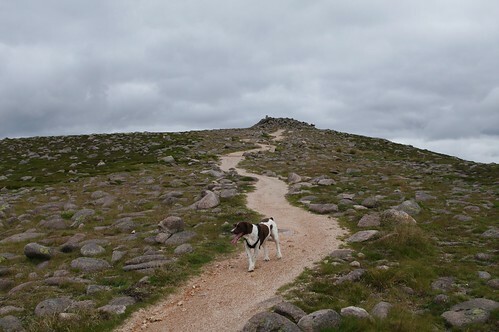 I've been up Mount Keen many times and from the south it is an excellent day out. I parked at Invermark in the large carpark at the end of the public road in Glenesk. 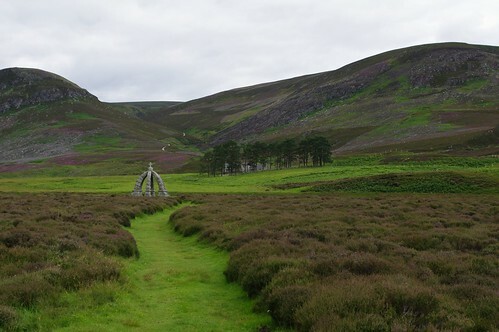 From here, head west and follow the sign to Queens Well passing the House of Mark. 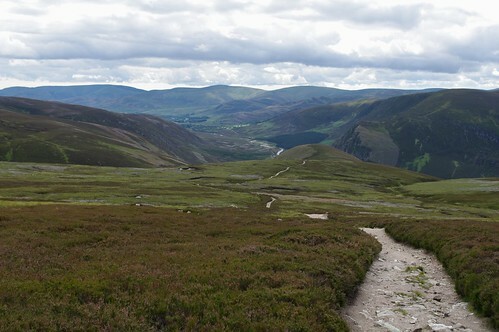 The track is obvious as it makes its way up the fine Glen Mark. It is an excellent track almost all the way. It could be cycled although there are a couple of burn crossings. 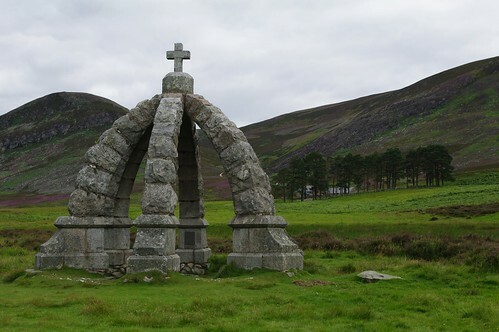 Near the head of the glen, you come across the impressive Queens Well. I believe this was erected to commemorate the spot where Queen Victoria stopped for a dook. I guess it stands about 10foot. And the little cottage of Glenmark just before the grunt starts. 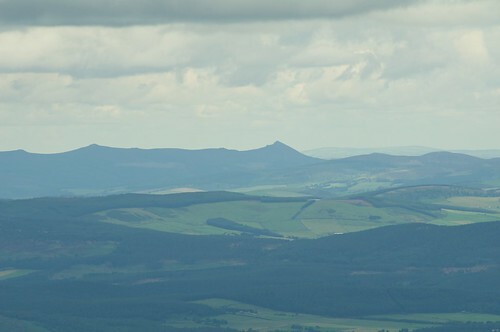 It is Glenmark where Lord Balnamoon hid from the redcoats after Culloden before he hid in Balnamoons Cave, just west of here. The track then makes it's way up by the Ladder Burn. And makes its way over the shoulder of the Knowe of Crippley. 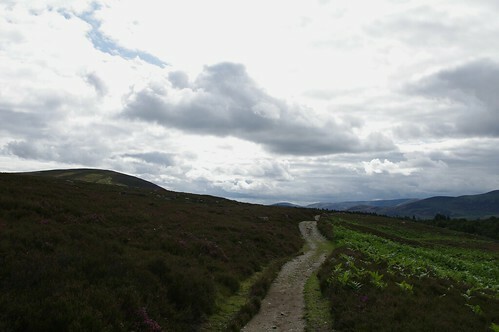 Looking back down the glen where the track can be seen all the way back to Invermark. As can be seen, it's an excellent path all the way to the top. Much work has been done over the last few years and it is incredible how what was once a huge scar has regenerated. 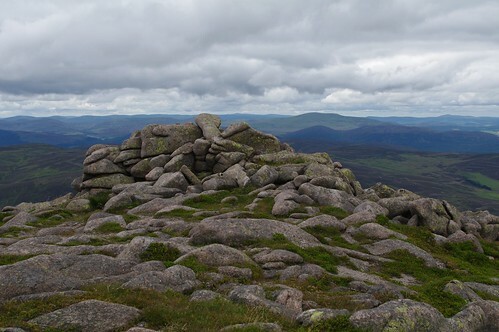 Rocks near the summit looking towards Deeside. Despite the haze, the views were great. 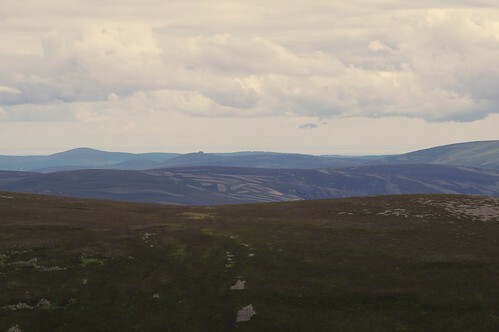 To make for a longer day, I descended north down the badly eroded approach from that direction and picked up the Mounth Road, heading south towards my approach. A great view down Glen Mark. Somebody else quite enjoyed this one. 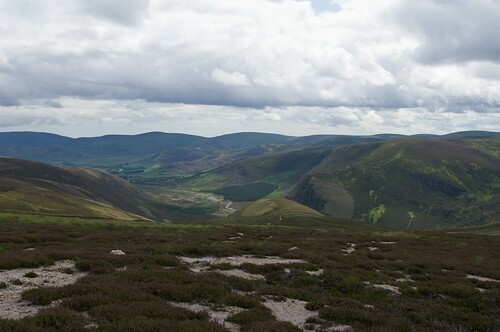 Another great day out in the hills of Angus. Re: Mount Keen from the south, Invermark. Another fine report and pics. I did go that way years ago the first time I did Mount Keen but the only photos I have are of a mate gurning. 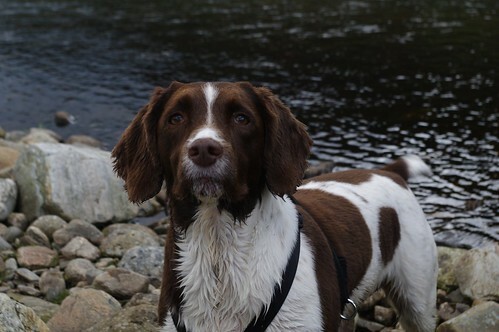 So, is it to be monument-bagging or a second round of the Munros for you now - that walk has both. 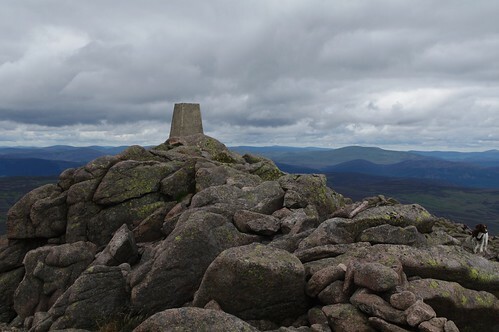 I don't fancy another round of munros, and I don't know if there is a list of monuments on hills yet although the hills of Angus seems to have a bit of a proliferation of them Makes for an easy planned walk though. 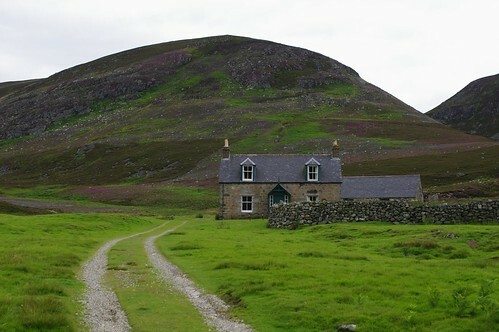 Iain - I'm going to post you a list of corbetts with your first 6 ticked off.